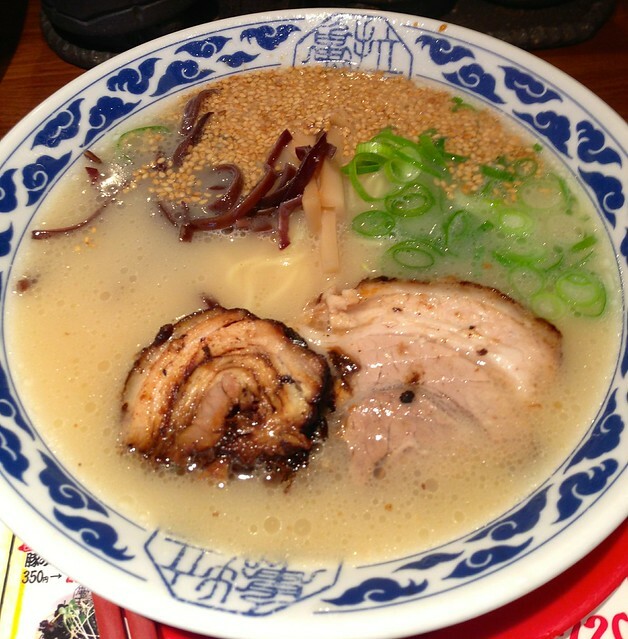 We are very proud of this ramen because we discovered it all on our own. Ok, not all on our own. Foursquare helped us find the best ramen that was walking distance from our hotel and then when we got lost trying to find the place that was practically next door to our hotel, a man from New York must have noticed our lost-and-we-need-ramen looking faces and he asked us if we needed help. 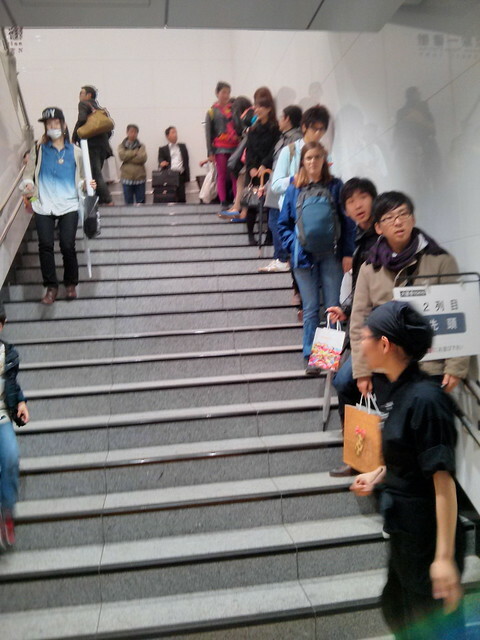 His lovely Japanese wife pointed out our destination….the one with the big line, of course. After the hectic morning we had and all the searching in the rain we just did, we were willing to wait for what was obviously worth waiting for by other people. 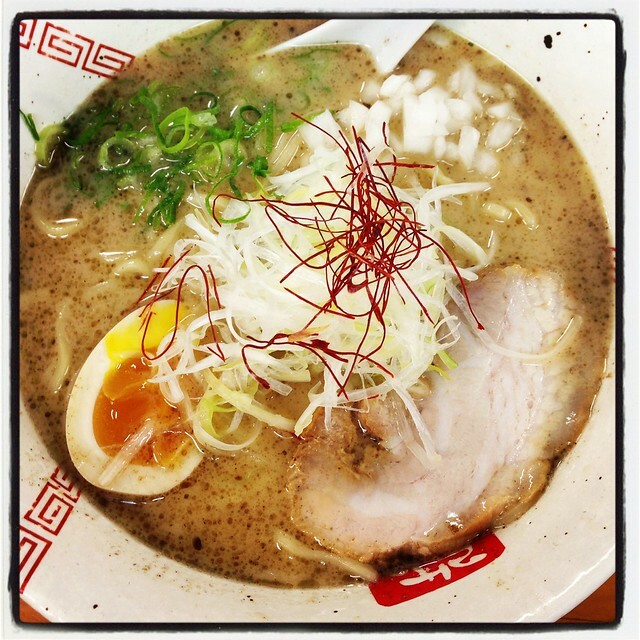 Thank the ramen gods for our patience because after all the amazing ramen we have had in Japan this one is still my favorite. 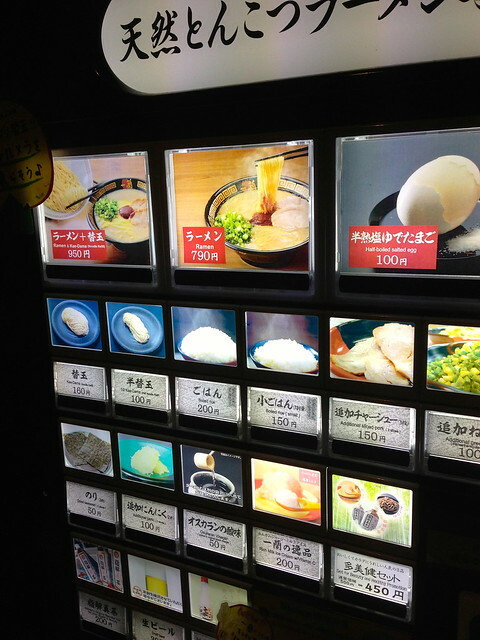 Like most of the ramen places we visited on this trip, this one had a vending machine like ordering system with pictures!!! We never imagined how much we would fall in love with picture menus and vending machines. 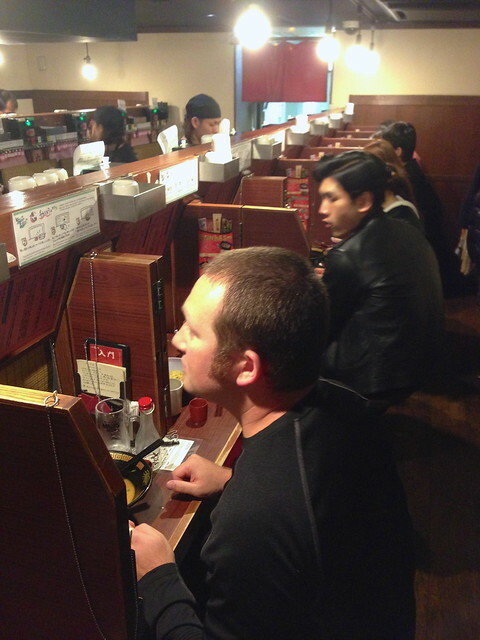 Don’t worry, the vending machine didn’t pop out our ramen, it dispensed tickets with what we ordered and then we handed it to the cooks who brought us our meals. At this particular establishment we sat in little cubicles…which was a bit cramped since people are so tiny here (side note: I don’t understand how people are so tiny here! 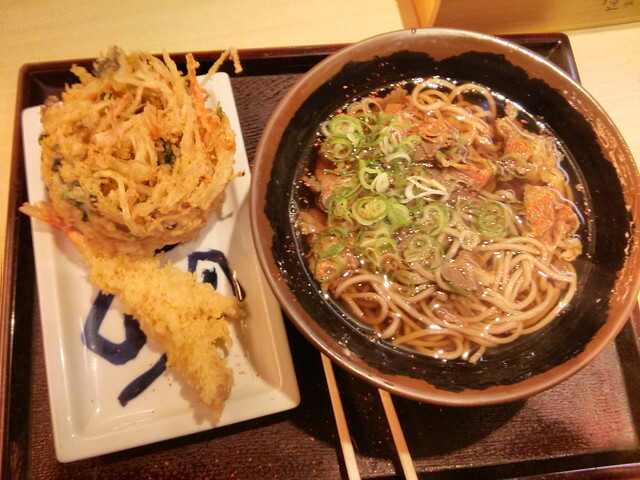 Everything we ate in Japan included noodles, rice, or something fried). There was a little curtain in front of us, and behind that were the cooks who took our tickets/orders and brought us food and much needed Asahi. There was also a little buzzer button that we would press when we needed more noodles. Best. Button. Ever. 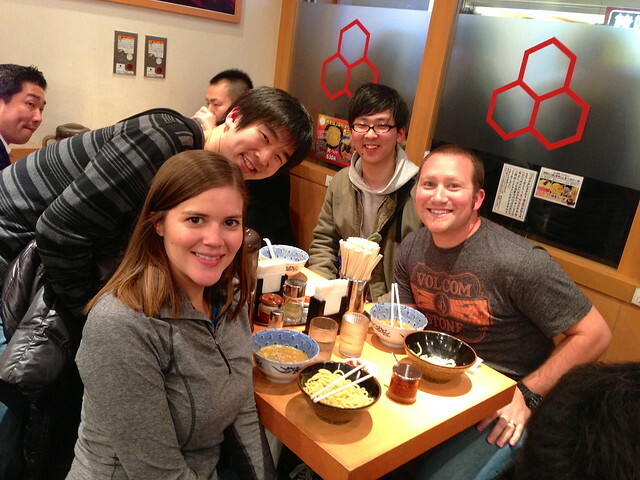 Our first ramen adventure was a success, and so were all the others. 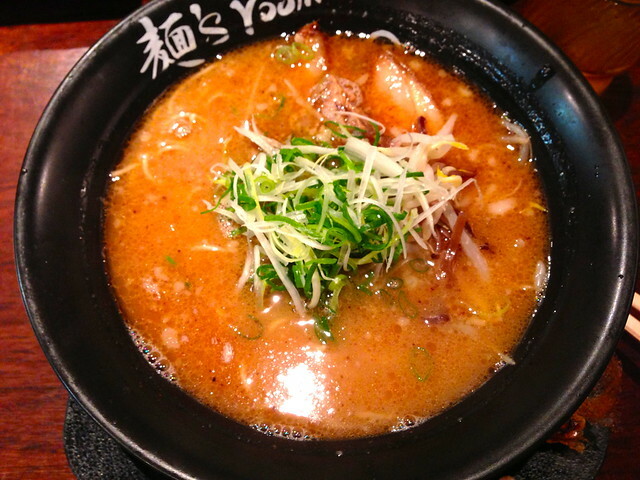 A lot of this ramen was eaten after waiting in long lines, but that was part of the adventure and experience of eating it. Ok, I guess if you look closely, I don’t look so happy about waiting in this line. The whole time you wait in line you can smell all the great smells. You go over the picture menu trying to decide which looks the best because you certainly can’t read about it to make your decision. And the best part is while you wait you might just make some friends who tell you exactly what to order, sit with you and show you how to eat the ramen (yes, there is a way to eat it so you can avoid looking like a noob), and then those same new friends will even invite you to go on an adventure with them through their city (more on that in another post). 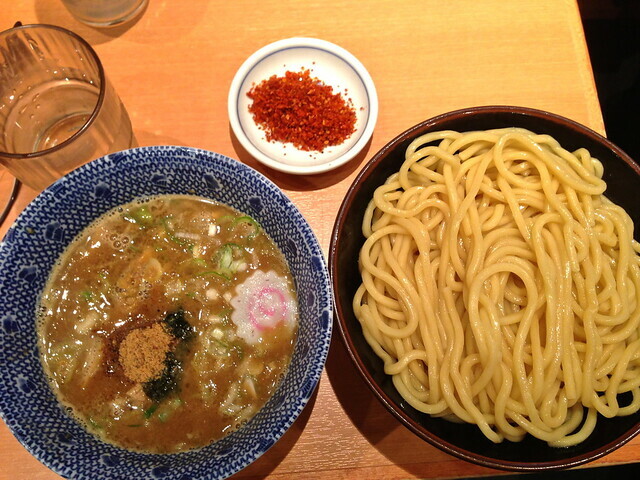 We culminated many adventurous days with ramen. We slurped a mess of delicious broth all over our shirts and we talked about our favorite parts of the day, winding down with full bellies and happy hearts. 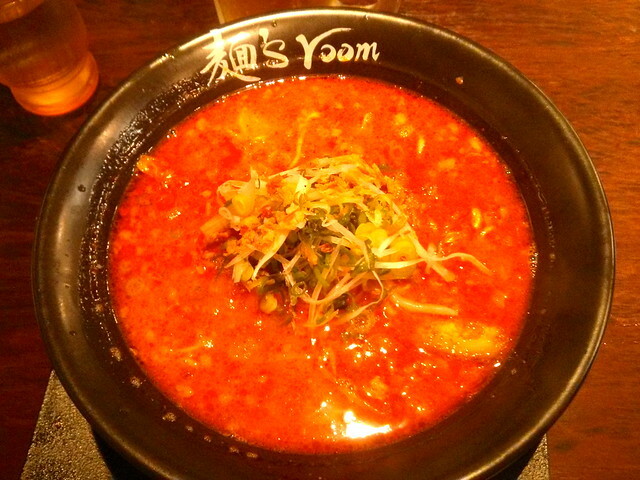 In other words, ramen is the Japanese version of chicken soup for the soul. ha ha ha love this!!! great post. xo keep ‘em coming! Some how I don’t think Top Ramen is going to be good enough for you guys ever again. 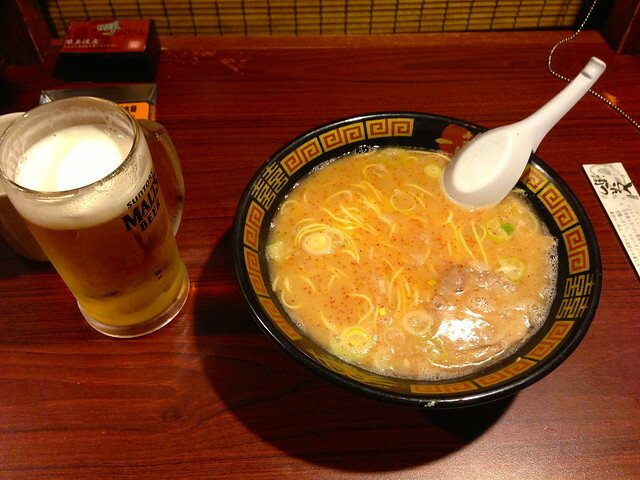 Good news, we have a Ramen restaurant right behind us. We’ve never been there, but I’m going to go give it a try. What should I order? omg, yes. I miss those buttons! I always wondered why they weren’t implemented here. Definitely makes getting service easy. You just press the button! :-p Hooray for getting your clothes unlocked too! Looks so cool & I love that you can order with buttons and I think that would make me so much less terrified in an environment where I don’t speak the language. Also, YUM.